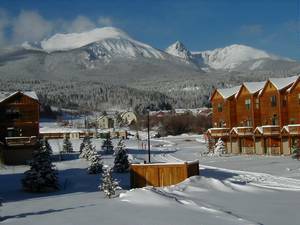 Ski/Golf Luxury Townhome with Private Hot Tub !!!! 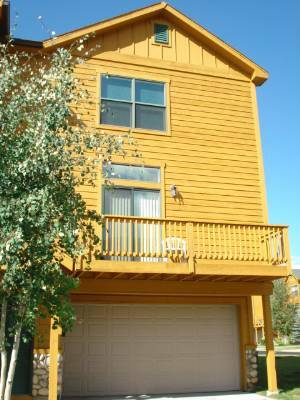 2 bedroom & 3 bathroom townhome end unit on the Blue River and Willow Creek. 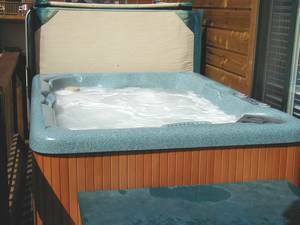 Relax in your own private hot tub on one of the three decks facing the mountains. Fantastic panoramic mountain views. 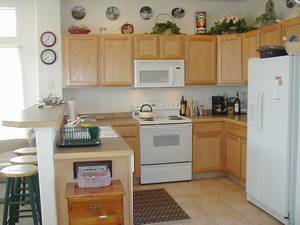 Building is only 2 years old with a 2 car attached garage, gas fireplaces and new furnishings. Walk to the Blue River and the free bus service to entire county. One mile to factory stores, Target and shopping, 15 minutes to most ski areas. In summer hike, fish, boat, golf as well as the country's best skiing in winter. 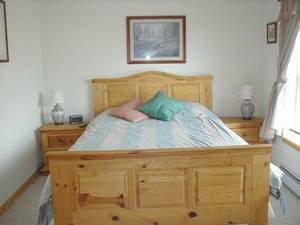 Rent 6 nights, get 7th night free! Great family activities and child care at Keystone. Restaurants and brew pubs nearby. Sorry no pets allowed. A cut above the rest and just over an hour from Denver. Competitive rates! Private hot tub, Gas fireplace, washer, dryer, New king bed in master suite, 3 TV sets, cable TV, 2 VCRs, DVD,Stereo music system, alarm clocks, 3 phone outlets, desk and computer area, Gas barbeque grill, Well appointed kitchen with microwave, coffee maker, blender, ice-maker,toaster and dishwasher, butcher block, board games, variety of books and magazines to read, River, wildlife, 3 decks, 2 car attached garage. 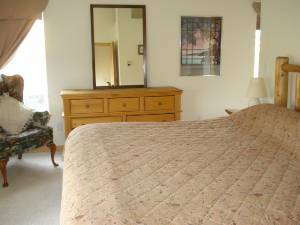 Linens, towels, all taxes included. Skiing, Snowboarding, telemarking, Cross country skiing, snow shoeing, snowmobiling, golf, fishing on your doorstep in the Blue River, 2 movie theatres, hiking, biking, concerts, music, ice-skating, sailing, health club and rec center 3 minutes away, "Raven" championship golf course across the street, 3 other courses within 15 minutes drive. Breckenridge, 25-30 minutes to Vail/Beaver Creek. 1-70 5 minutes away. Smoking on decks only. Sorry no pets allowed. April, 2nd, 2010 onwards $199 per night. 3 night minimum. 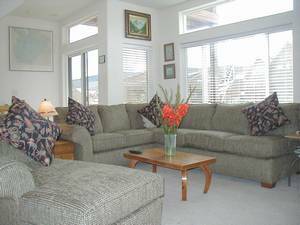 All rentals are based on a 3 night minimum except Christmas and New Year. 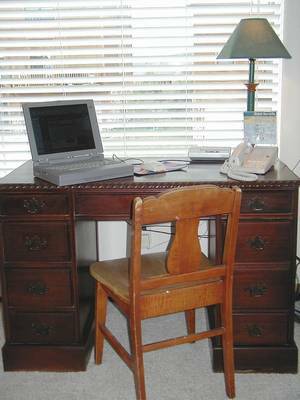 All taxes are included in rates quoted. Deposit: 1/2 with signed agreement. 1 nights rent security deposit returned after housekeeping inspection. Cancellations and Refunds: Refunds only if unit can be re-rented for same time period at same rate.